I HAVEN'T DONE ONE OF THESE IN AGES OH GOD SO MUCH TO DO THIS WEEK! Brooklyn Grange will be hosting on their vast rooftop farm, Sam Comfort will be there waxing philosophical about treatment-free beekeeping...growing strong bees, resisting the urge to rely on chemical crutches to keep your bees alve, catching wild bees, swarming, all of the things that make a beekeeper "backwards". We hope that many of you can make it. We encourage folks to bring a small jar of the honey they harvested this season so that we can all . We'll have some fresh baked bread from Roberta's on hand to serve along side of it while we marvel at the genius of bees and the hazy Manhattan skyline. While you are at it, we hope you will "like" our Facebook fan page too! We'll post updates frequently and share pictures of our beekeeping adventures as well as dates for upcoming classes and workshops led by some of our members, like Tim O'Neal, Sam and myself! p.s. Big, big, BIG UPS to Renee Garner for designing our logo. It's freaking awesome and we're so lucky to have such talented people willing to help us out! You're amazing, Renee! The first meeting is being held at the Brooklyn Grange on Thursday, August the 18th from 6:30-9PM. It's right by the 36th st E/M/R Station in Queens! I'm a founding member, so the only reason not to show up is because you don't love me OR the bees! Bee-friend local beekeepers at a honey tasting and informational on keeping bees and harvesting honey at the Union Square Pavilion. Hear from experienced beekeepers, Greenmarket's own David Graves and Meg Paska a Brooklyn-based "Backyard Homesteader" and blogger, and taste an array of honey from light to dark varieties that result from a number of local flowers and processing techniques. I am going to be there after I get a haircut! I'll try not to shed on you! EXCITINGLY, now that I am back from vacation (still pale), I'll be hosting one of my FREE Public Hive Inspections at the Red Hook Community Farm, across the street from IKEA and starting at 11AM on August 20th. Come for the flatpacks, stay for the bees! In an exciting turn of events, one of the hives may have been robbed out and destroyed by its neighbor while I was gone! Come and see the aftermath of the CARNAGE! If you ARE feeling brave and want to help out, consider wearing light colored long pants and a collared shirt. I've got an extra veil I can lend out to particularly courageous volunteers! Special thanks to Added Value for hosting this, and future, FREE PUBLIC HIVE INSPECTIONS! They're doing great work, and are always looking for volunteers. If you'd like to help them out, check out their website! ID is required to enter this location. Directions will go out to all participants - Parking may be something of a challenge even on Sunday so please allow extra time if you are driving. Please bring your veil/jacket & hive tool if you have. Standard attire is long pants and closed shoes with socks so you can tuck in your pants. As always, those remaining on the wait list from last time have priority for this event. If you get wait listed for this one, you'll have priority next time. It's happening Sunday, August 21, 2011 at 10:00 AM! 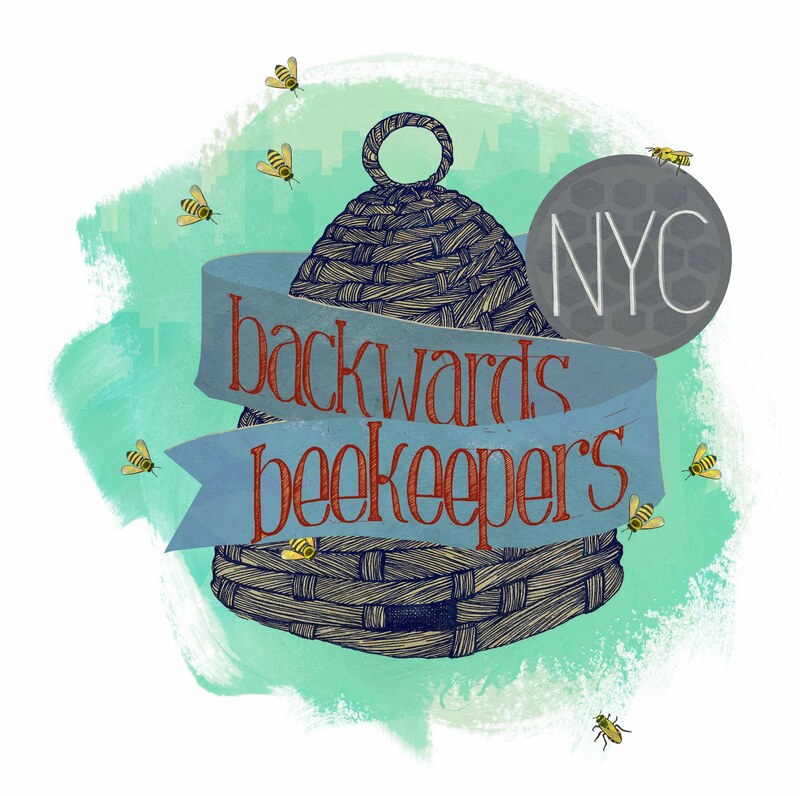 If you want to find out where, you have to sign up at their website, or email them at nycbeekeeping@gmail.com!